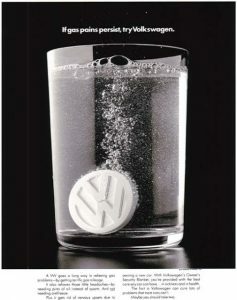 Time for VW to take its medicine. As South East Asia struggle with their very own home-grown (or was that ‘burnt’?) haze problem and we are about to enter the smog season in China, it may leave some people in Asia wondering just what all the furore is about over the marginally higher exhaust fumes coming out of some VW cars. Well, in an European and American context, this is as serious as a triple by-pass surgery – to put it bluntly, the German manufacturer lied to their customers, and that just will not do. But there is more to it than that. Under EU guidelines, there is a very rigorous test for emissions, which is performed on a rolling road dynamometer programmed to simulate actual real-road conditions. What the good folks from Wolfsburg did was to install some software in the Engine Control Unit that could detect when the vehicle was being tested, and revise the engine mapping to ensure that the original claims would be met. This is not an easy task and would have required an epic conspiracy that may have reached to the highest level within the VW boardroom. Dr Winterkorn, the CEO of VW, has quit, with the group facing potential criminal investigations in the US and other countries, and the potential to recall some 11 million vehicles. European laws dictate that when you buy anything, you are in effect entering into a contract with the seller of that product and that product must be fit for purpose as described by the advertising and technical information issued by the company. If the consumer finds that the information was misleading or downright wrong, then they can claim a refund or compensation, and that is just what is happening, especially in the UK. Lawyers say that they are being absolutely inundated with inquiries about potential action from VW drivers, whose vehicles may have been far more polluting than claimed by the manufacturer, after the German company admitted installing the software that could detect when the vehicle was undergoing an emissions test. Jaqueline Young, the head of group litigation at Slater and Gordon, said owners and the car dealerships that sold the cars would have viable legal claims for breach of contract, with the value of vehicles falsely boosted by VW’s misrepresentations. This also may cover shareholders who have lost about 30% of the value of their investment since the scandal broke. 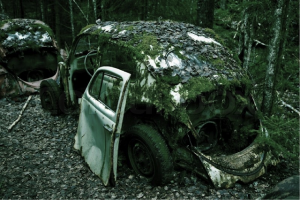 The scandal may become the largest that the UK has ever seen, where a lot of consumers paid an average of US$3,000 more for a greener car only to find that the VW is not that much greener after all, but owners cannot expect to claim back the entire value of their cars. VW has set aside some US$7.5 billion to deal with the cost of the crisis, although that sum could be dwarfed once the US regulators start issuing fines. The scandal has raised the spectre of yet another scandal though, as concerns over true pollution levels have spread to fuel consumption, or more to the point, the long reported discrepancy between the official consumption figures and those that the average consumer is reporting. Incidentally, the VW Golf is the second worst offender in research, carried out by the UK publication, WHICH?. VW became the world’s largest automaker this year and must be ruefully regretting the harm that this scandal will have on the long term reputation of the brand as consumer confidence is dented. It is widely believed that VW will look to the head of their Porsche Sports car brand, Matthius Mueller, to steer them out of this mess. Is this the end of the line for Hitler’s War Baby?